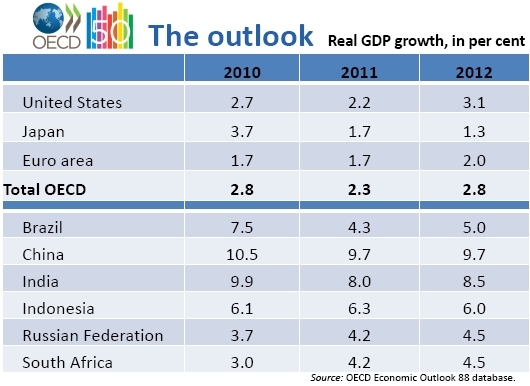 The OECD has just released its economic outlook for 2011. 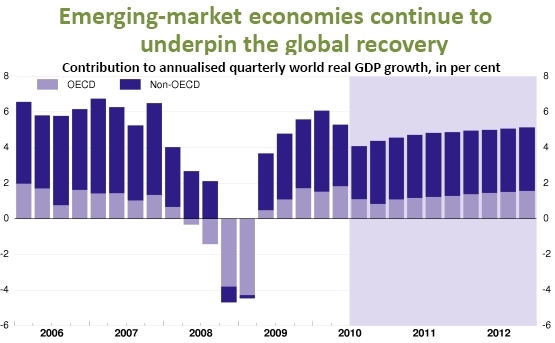 Economic activity in OECD countries will gradually pick up steam over the coming two years, but the recovery will be uneven and unemployment will remain persistently high. They also believe that the financial sector will return to normal and households and business will be in a position to renew spending and investment. They also raised China's inflation projection for 2010 to 2.8%, ad attribute it to the low Yuan. 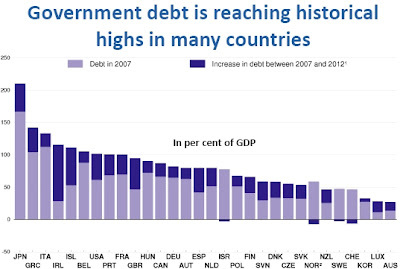 "The main challenge facing governments today is moving from a policy-driven recovery toward self-sustained growth". 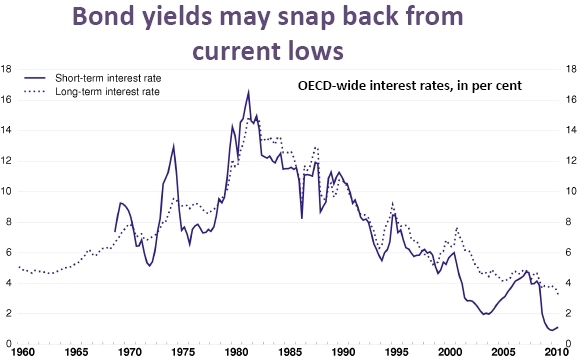 “As stimulus is withdrawn, governments will have to provide a credible medium-term framework, to stabilise expectations and strengthen confidence, particularly for the private sector,” OECD Secretary-General Angel Gurría said. “Enhanced confidence could result in a faster-than-projected recovery” (read the full speech). 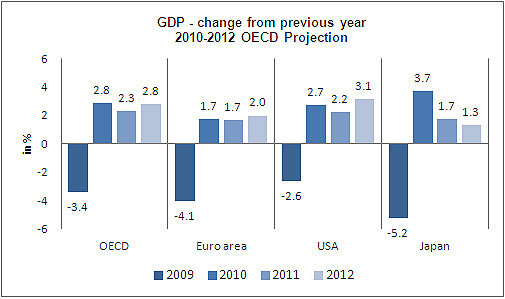 Gross domestic product (GDP) across OECD countries is projected to rise by 2.3% in 2011 and 2.8% in 2012. In the US, activity is projected to rise by 2.2% in 2011 and then by 3.1% in 2012. Euro area growth is forecast at 1.7% in 2011 and 2% in 2012, while in Japan, GDP is expected to expand by 1.7% in 2011 and by 1.3% in 2012. 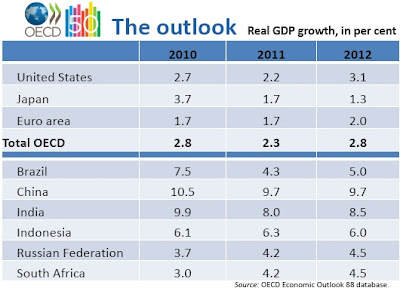 Emerging markets are expected to grow at a quicker pace than the OECD, helping to lift global trade growth to more than 8% annually in 2011 and 2012. But uneven growth within the OECD area, as well as between the OECD and emerging economies, will add to global imbalances, which are among the most significant threats to the recovery. The OECD warns countries against taking unilateral action in response to exchange rate volatility, and says that international collaboration, notably within the G20 process, will be essential to warding off protectionism. The Outlook also highlights other downside risks that could derail the recovery, including the potential for renewed drops in real estate prices, most notably in the US and the UK, high sovereign debt in some countries and possible abrupt reversals in government bond yields. Going forward, the OECD recommends that countries adopt a combination of coordinated macroeconomic and structural policies to ensure the conditions for long-term growth. 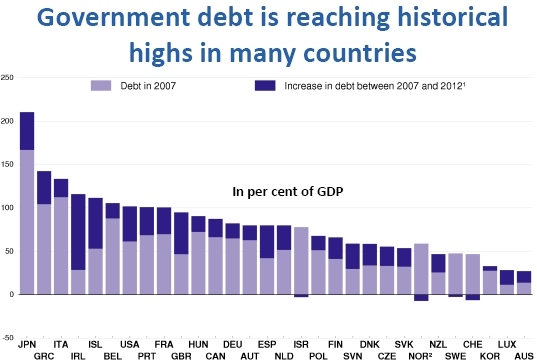 Fiscal consolidation is needed to reduce government deficits and debt, while making room for future fiscal policy action. Structural reforms are needed to boost growth and employment, and to contribute to budget consolidation and external rebalancing. 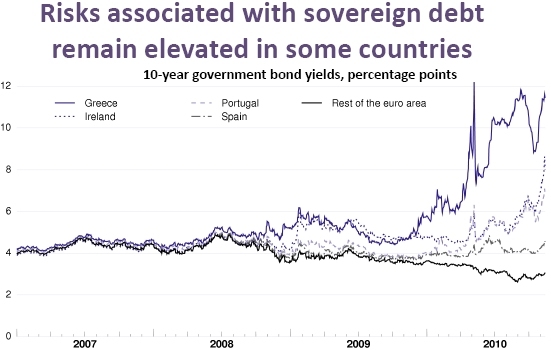 Monetary policy must gradually return to a more normal stance".